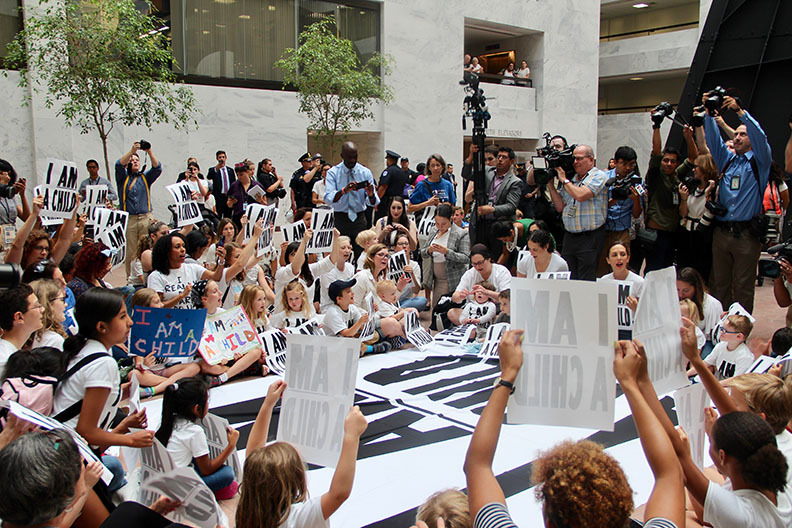 WASHINGTON – Children and families marched together and protested at the U.S. Capitol on July 26, the court-ordered deadline for the Trump administration to reunite thousands of families separated at the U.S.-Mexico border. More than 900 parents have been deemed ineligible to receive their children back due to failed criminal background or parental verification checks. And earlier this week, it was reported that at least 460 parents may have already been deported without their children, leaving reunification possibilities unclear.